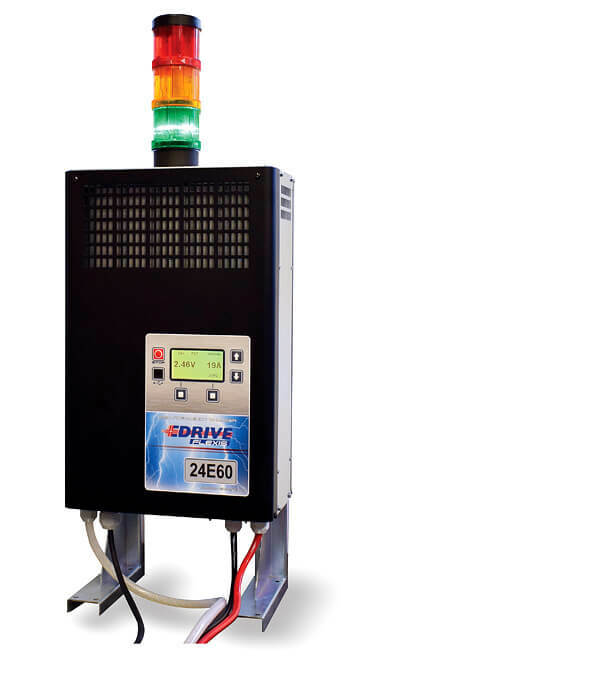 The EDrive Flexis is a highly energy efficient, industrial battery charger that can be used for both traditional and maintenance-free batteries. This high-frequency charger stands out by the number of possibilities and options. 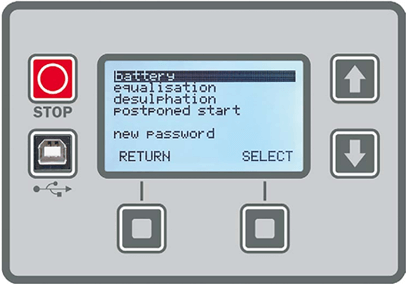 On a 4-colour display you can change numerous settings without the involvement of a technical specialist in a very user-friendly manner. The charger is modular so even fully individualised solutions are perfectly possible. The charger can be easily configured and read using a 4-colour display. The EDrive Flexis has a separate software package. This program can be used to make a very wide range of settings. One can configure individual charging curves for example. If required one can also use a very detailed history to consult specific charging from the past. AXInet is a monitoring and management system for Axima chargers that optimises the whole charging process. 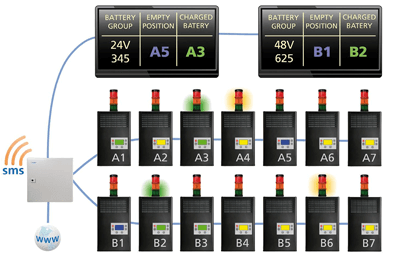 The system connects individual chargers in separate groups and evaluates their charges. This ensures much greater user-friendliness and a reduction of costs. 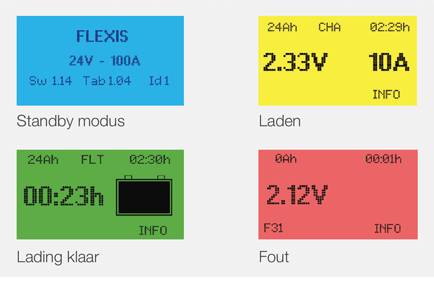 The data network can connect up to 255 Flexis chargers with each so offers a clear overview of the whole charging process. An external signal light is a very handy option with the EDrive Flexis. It shows the status of charging using 3 different lights: red, orange and green. There are also 2 outputs for remote display.